It is well-known that effective instructional design goes a long way in enhancing the efficacy of an online course. A competent instructional designer presents the learning content in a simple and engaging manner. So, how can you become a good instructional designer? What does it take to design online courses efficiently? 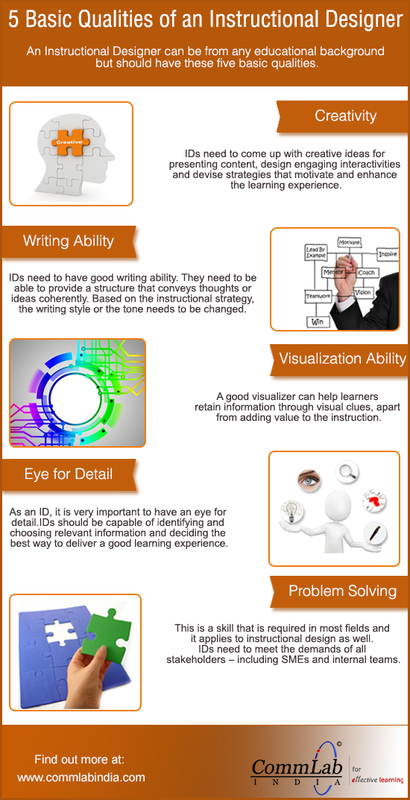 Thus, these 5 abilities of a good instructional designer help him develop excellent courses. Do you wish to add to the list? Please do so.